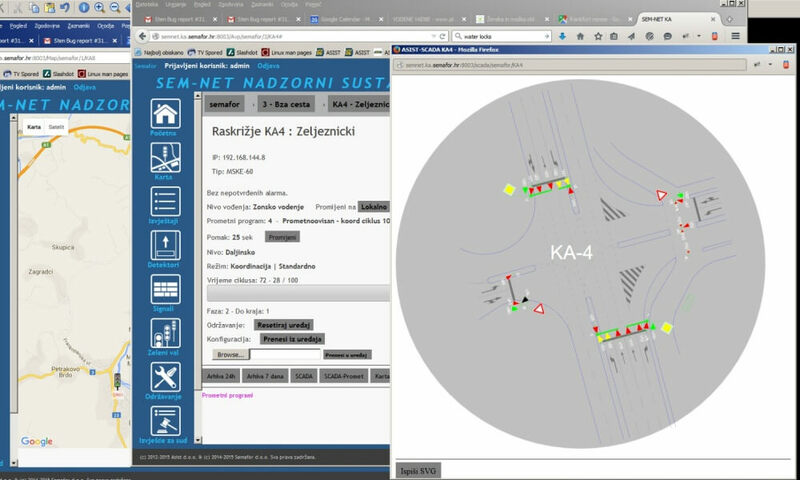 UTCS was made in partnership with Semafor d.o.o., market leader in urban traffic control systems in Croatia. in the city of Karlovac. Together, over 60 intersections are connected via mobile networking (GPRS/EDGE/3G). Diagnostics, alarms, traffic data, and location information (integrated with Google maps and Street View) are available in one easy to use control system. SCADA system also enables alarming, visualization and archive/reporting functions.